Bucktown Foot and Ankle accepts all commercial insurance plans, including those listed below. Bucktown Foot and Ankle may see you when you have an HMO plan with a valid authorization number from your primary care provider (PCP). Bucktown Foot and Ankle gladly accepts Medicare patients and will bill secondary insurances. Medicare pays this office directly when assignment is taken. 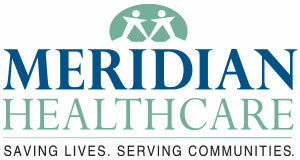 We receive 80% of the Medicare Allowed Amount, minus any of your annual deductible which has not been met. Medicare regulations require us to bill and attempt to collect amounts credited to your annual deductible and your co-payment. Medicare only allows us to make exceptions in situations of severe financial hardship. The charge listed on the Medicare claim may be higher than what Medicare calls the “approved amount.” Medicare’s approved charges are generally lower than non-Medicare Reasonable Charges customarily made by most doctors. Medicare determines what will be allowed for each service. No matter what is listed as our charge, we receive no more than the Medicare payment, plus your payments of the remaining 20% and amounts credited to your deductible. Medicare identifies certain nail treatments, casts, bandages and dressings as “surgical care.” Services that Medicare designates as “surgical” do not have to be an operation. We strive for excellence in patient care and patient satisfaction. Call us directly at our office to schedule an appointment.